As a progressive form of dementia, Alzheimer’s disease can have a dramatic effect on an individual’s cognitive abilities. For some, the condition can cause severe memory loss, disorientation, and instability — all issues that can impact safety at home. Still, with the right precautions, many seniors continue living safely at home. If you have a loved one with Alzheimer’s, here are a few home health care tips that can help you create a safe living environment. When a home is messy or cluttered with belongings, it can increase confusion in an individual with Alzheimer’s. In some cases, untidy spaces may increase a person’s risk of tripping and falling. To create an environment that allows your loved one to move around independently, remove all unnecessary items and keep floors and counters as clear as possible. 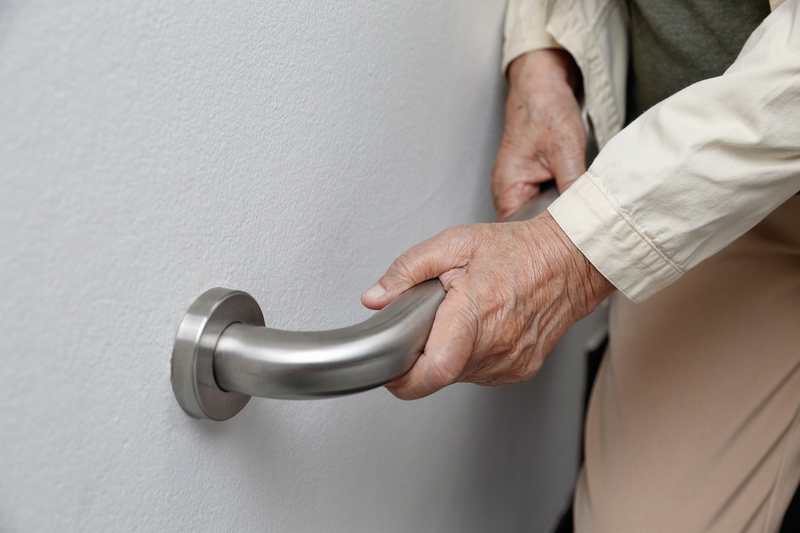 Since falls are a major risk for seniors — particularly those with Alzheimer’s — it’s critical to install safety devices that can help provide support when necessary. For example, place grab bars in the bathroom and anti-slip mats on tile floors. Also, make sure all smoke and carbon monoxide detectors are working so that you and your loved one are alerted in the event of an emergency. Poor lighting can cause disorientation in those with Alzheimer’s disease and potentially cause them to forget where they are or what they are doing. For this reason, make sure all rooms and hallways are well-lit. Consider installing automatic lights that will turn on whenever your loved one enters the room. In some cases, people with Alzheimer’s may misuse or mishandle objects, increasing the risk of injury. To minimize this risk, take a careful inventory of all objects in the house and place potentially dangerous items in a secure, out-of-reach cabinet. Common items of concern include knives, kitchen appliances, and poisonous chemicals. If you’re not around your loved one, there are several ways you can monitor them for peace of mind. For example, you might consider installing a surveillance system to view your relative remotely from a wireless device. If the individual has extensive needs, hiring a home health care provider can help. As professional caregivers, these home aides can assist with many routine medical needs and provide additional companionship for your loved one. When Alzheimer’s is affecting someone in your life, Lifetime Care offers comprehensive resources to help them maintain their independence at home, while tending to personal and medical needs. As a leading home health care provider with locations throughout New York’s Finger Lakes region, this team will connect you to qualified dementia care specialists who will work to keep your loved one healthy, safe, and comfortable. To learn more about these home health care services, visit this provider online or call the Rochester, NY, office at (585) 214-1000.